For the first time in 25 years a starting pitcher was named the Most Valuable Player of the American League. Justin Verlander of the Detroit Tigers was named the American League MVP today in as convincing manner as he pitched during the season. The last time a starting pitcher won this honor was in 1986 when a young up and coming Roger Clemens won it as a member of the Boston Red Sox. The last time a pitcher won the ward was in 1992 when Dennis Eckersley won it as a closer for the Oakland Athletics. It was the first time since 1984 that a pitcher won the MVP as well as the Cy Young award. 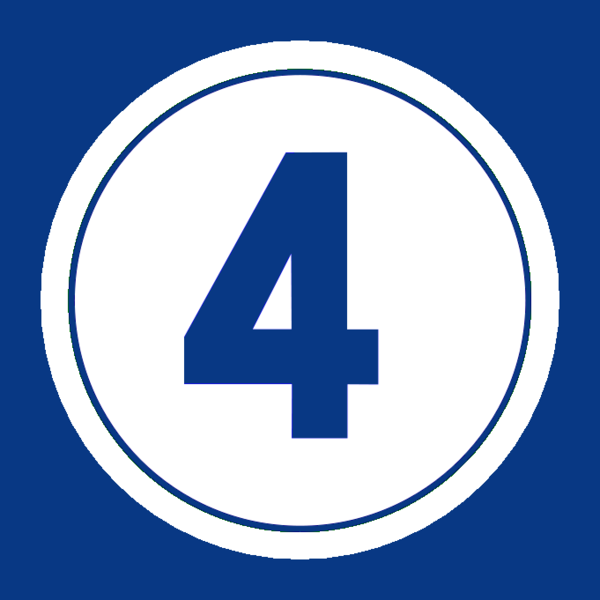 In winning both in the same season Verlander joined Brooklyn Dodgers’ great Don Newcombe who won them in 1956, Los Angeles Dodgers’ legend Sandy Koufax who did it in 1963, St. Louis Cardinals’ great Bob Gibson and Detroit’s Denny McLain who led pitchers in both leagues in 1968, Oakland’s Vida Blue in 1971, Rollie Fingers who won it as a relief pitcher for the Milwaukee Brewers in 1981 and Detroit’s Willie Hernandez who did so in 1984. It is unusual that a pitcher wins the MVP. Part of the equation is that starting pitchers are not every day players and even like relief pitchers who may appear several times a week. Because of this a starting pitcher must be absolutely dominating in all aspects of his game and do so in such a way that their team’s success is in large part attributable to their play. This was the case with Verlander who dominated pitching this year. Verlander’s accomplishments speak for themselves. He went 25-4 in 34 starts, had a ERA of 2.40, held opposing teams to a .192 team batting average, struck out 250 batters while walking just 57 men. His Walks/Hits inning pitched WHIP was a tiny 0.92. He led every competitive category for pitching in the American League and for that matter led all pitchers in wins and strikeouts during the season. 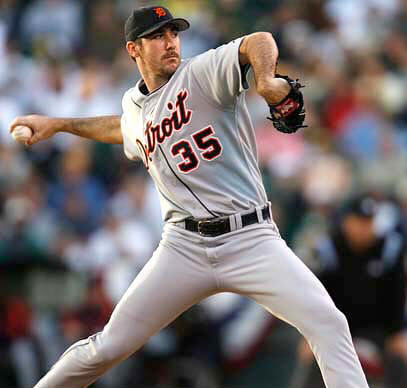 To top things off Verlander also had a no-hitter against Toronto coming a walk from a perfect game and he won 12 consecutive games leading the Tigers to their first division title since 1987. The was no player in baseball that was as valuable to their team or as dominant as Verlander this year. That may be a hard sell for those that believe that pitchers should not be considered for the MVP since they are not every day players but the numbers support Verlander’s selection as the 2011 American League Most Valuable Player. His competition among American League position players could make no such claim, while excellent ballplayers none was such a standout that they had any real chance of winning. 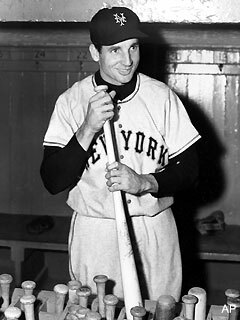 Baseball great Bobby Thomson died yesterday at the age of 86 at his home in Savannah Georgia after a long illness. Thomson was immortalized when he hit the “Shot heard round the World” for the New York Giants against the Brooklyn Dodgers on October 3rd 1951 to cap an epic comeback in the final game of a playoff to see which team would face the New York Yankees in the 1951 World Series. 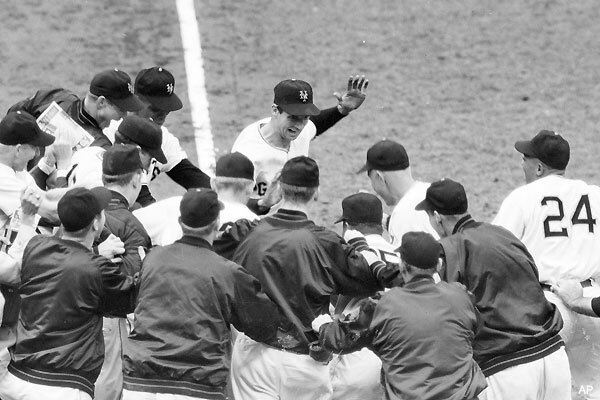 Baseball has many memorable moments but few are more memorable than the home run hit by Bobby Thomson to clinch the 1951 National League Pennant for the New York Giants, before they were the San Francisco Giants over the Brooklyn Dodgers on October 3rd 1951. As anyone who reads this site knows Padre Steve is a Giants fan and believes that the Dodgers and about everything associated with them are evil. I cannot call myself a “Dodger hater” for in spite of all I admire the history of the franchise and many of the players that played for or managed the team that I call the “Evil Dodgers.” Given a choice if the Dodgers were in the World’s series against anyone other than the A’s, Angels or possible the Yankees, Rangers or Rays I would probably hope that they won. I must add the caveat that this would be condition if I felt that the Dodgers had won the National League Pennant by some underhanded means or that the Giants really deserved to be in the series. It would be as painful for me to cheer them on as it would for me as a UCLA Bruin (ROTC) alum to root for Troy Tech (USC) when they against the Ohio State University Buckeyes in the Rose Bowl. It would be painful but there are exceptions to every rule. For a baseball fan, any baseball fan what the Giants did in 1951 and Thomson’s roll in that final game of a 3 game playoff after a dramatic end to the regular season that left the teams tied was and is an epic story. It is considered the most famous home run ever hit and is called “the shot heard ‘round the world.” The Giants trailed the Dodgers in the pennant race by 13 ½ games on August 11th but went 37-7 to force a playoff against their blood rivals from Brooklyn. In the final game of the series the Dodgers were up 4-1 in the 9th inning and things looked bleak for the Giants who had not generated much offense against Dodger’s pitchers during the game. Thomson’s 3 run homer off reliever Ralph Branca with 1 out in the bottom of the 9th to left field just above the 315’ marker at the Polo Grounds capped a 4 run rally to give the Giants one of the most fabled victories in all of sports history. The rally was in keeping with the season for the Giants. The rally started with a single by Alvin Dark who was followed by Don Mueller who singled to send Dark to third. Monte Ervin who had led the league with 121 RBIs popped out. Whitely Lockman doubled to score Dark and put runners on second and third with 1 out. Dodgers’ starting pitcher Don Newcombe who was showing signs of overuse in the closing days of the season was pulled from the game obviously spent. He was replaced by Ralph Branca who had given up a game winning home run to Thomson in game one of the series and surrendered several others to him in the regular season. 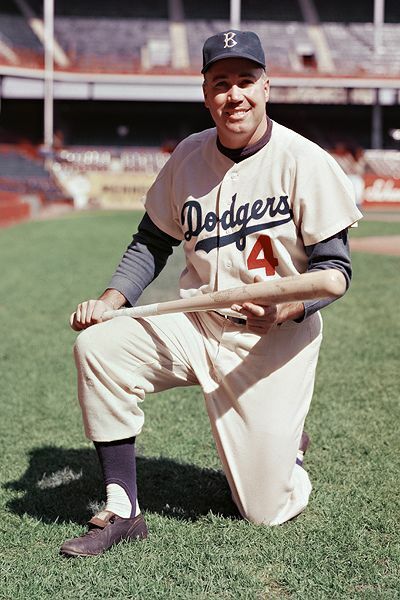 Branca was picked because Dodgers’ bullpen coach Clyde Sukeforth saw Carl Erskine bouncing his curveball in front of the plate and instructed manager Charlie Dressen to send in Branca. The move would cost Sukeforth his job shortly after the season ended. Branca’s first pitch was a fastball down the middle that Thomson took for a strike. Branca came back with another fastball up and in and Thomson ripped a line drive that cleared the wall just above the 315’ marker in left. 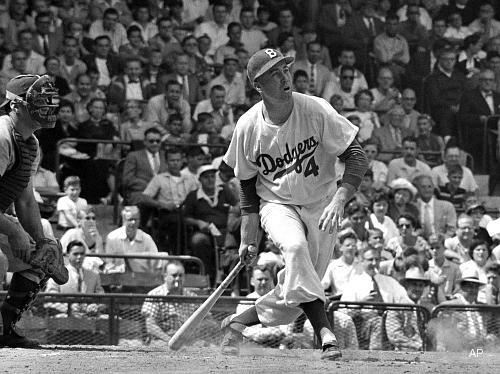 Andy Pafko chase the ball to the wall hoping that it would not clear it and as Thomson hopped and skipped around the bases with only Jackie Robinson remaining on the field for the Dodgers making sure that Thomson touched all the bases. Waiting on deck was another legendary Giant named Willie Mays who with the rest of the team mobbed Thomson as he touched home plate. In 2001 Wall Street Journal reporter Joshua Prager reported that the Giants had been stealing signs enabling batters to know what pitch was coming. While this was confirmed by a number of Giant’s players Thomson himself said that he had no foreknowledge of the pitch. Sign stealing was a common practice by many teams since the inception of the sport and has never been outlawed by Major League Baseball. The ball itself has never been found with one writer determining that a Franciscan nun recovered the ball and kept it in a shoebox until her death bequeathing it to her sister who deposited the box in a landfill. Obviously the sister was a Dodgers’ fan. Thomson was born in Glasgow Scotland and immigrated to the US with his parents when he was 2 years old growing up in Staten Island and served in the Army Air Force in the Second World War. He played 14 years in the Major Leagues and after retirement worked for a paper company. He would remain a lifelong friend of Ralph Branca appearing at card shows and other baseball events. Thomson retired in 1960 finishing his final season in Major League Baseball with the Baltimore Orioles but would play one last season in 1963 with the Yomiuri Giants in Japan. He hit .270 for his career with 264 home runs and 1026 RBIs and was elected to 3 All-Star teams. A Scottish baseball team the Edinburgh Diamond Devils named their field “Bobby Thomson Field” in 2003 when he was inducted into the Scottish Sports Hall of Fame. For me the timeless memorial of this event, besides the Giants defeating the Evil Dodgers is the testament to friendship and the understanding that things are never over until they are over. Ask the 1951 Giants.